Ann Karin Sandal, Associate Professor from Western University of Applied Science in Norway, is visiting the Oxford University Department of Education during February where she is carrying out work on a research project funded by the Norwegian Research Council. The overall research project is investigating assessment practice and responsive teaching in grade 9 mathematics in Norwegian lower secondary schools through an intervention with math teachers. During the stay, Sandal is writing a scientific paper building upon qualitative data of students and teachers changes in perceptions of feedback practice during the intervention period. Sandal is also working on a research project investigating development of VET-teachers assessment practice. Related to this project, Sandal and Dr Therese Hopfenbeck of OUCEA will write a paper concerning assessment for learning and self-regulation in VET. This entry was posted in News on 20. February 2018 by johnivarolsen. With three months away from finalizing the project, the team gathered our international Advisory Group to discuss the key findings from the project. The data, which includes quantitative and qualitative material from approximately 2.000 students and 37 math teachers, was presented and discussed in depth in order to finalize the forthcoming academic papers. The main advice from the Advisory Group was to use the advantage of the rich data material to analyze the material at different levels to get a deeper understanding of the complex structures of Responsive Pedagogy. This entry was posted in News on 25. January 2018 by johnivarolsen. The workshop “Systematic observation in educational research” was held 26.-27. sept in Stavanger. A group of researchers representing RespMath, CIESL and TwoTeachers hosted the workshop for participants from the UK, Finland, Germany, USA and Norway. Associate professor Siv M. Gamlem participated from the RespMath team. This entry was posted in News on 1. October 2017 by johnivarolsen. A poster and two delegates from RespMath was the recipe for success at the EARLI 2017 conferece in Tampere (FI). Professor Kari Smith and associate professor Siv Måseidvåg Gamlem enjoyed meeting academics from all over the world, and sharing experiences from the RespMath project. This was a great conference for the RespMath team, with many exciting meetings, presentations and a high level of interest and engangement for our project, Gamlem says. In addition, Kari Smith also gave a keynote on “Moving beyond rhetoric: A culture to substantiate research based teacher education”. This entry was posted in News on 2. September 2017 by johnivarolsen. We would like to invite researchers that use systematic observations in their work to a workshop about systematic observation in educational research, to share experiences, discuss ongoing work and planned studies. A group of researchers at the University of Stavanger and Volda University College host the workshop. They represent four projects funded by The Research Council of Norway that use Classroom Assessment Scoring System (CLASS). The workshop will particularly address research using CLASS, but will also be relevant for researchers using similar protocols. This entry was posted in News on 10. May 2017 by johnivarolsen. 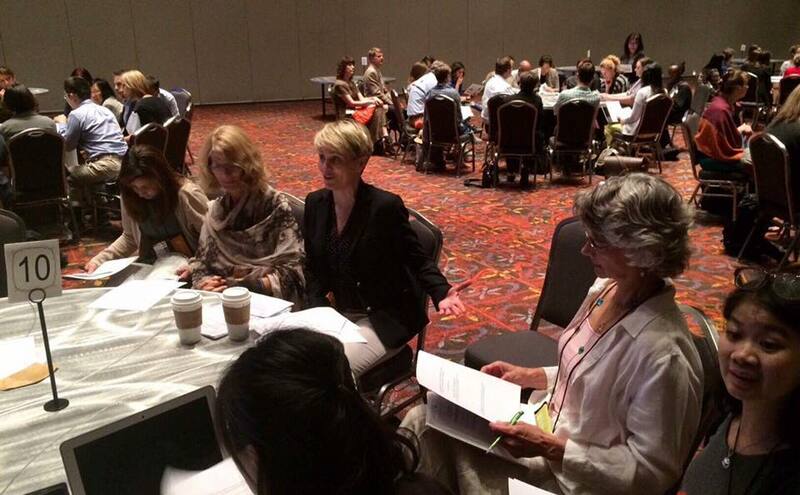 The paper “Responsive Pedagogy and Student Learning in Mathematics” was presented by RespMath members at a roundtable discussion at AERA2017 (San Antonio, TX). In RespMath we assume there is more to learning than improving content achievements. An aim in this project is to develop new understandings and knowledge of the relationship between responsive pedagogy, defined as feedback practice, and students’ learning in Mathematics, defined as achievements, self-regulation skills and self-efficacy. Students’ belief in their own capacity to learn and their skills in regulating their own learning are crucial to developing independent learners learning for the future. Developing knowledge about how responsive pedagogy can strengthen students’ learning by engaging learners in dialogues to meet their emotional and cognitive needs is a major challenge for today’s schools. Suitcases, passports and our AERA paper are packed and ready for the AERA annual meeting 2017. Follow us on Facebook or Twitter for updates from AERA 2017. This entry was posted in News on 26. April 2017 by johnivarolsen. We are proud to announce that among 13,000 submissions, the RespMath team were selected to present a paper at the AERA annual meeting in April 2017. We are also excited to present the project at the Earli 2017 conference in August. Follow us on Twitter or Facebook for more news about the RespMath activities. This entry was posted in News on 23. February 2017 by johnivarolsen. 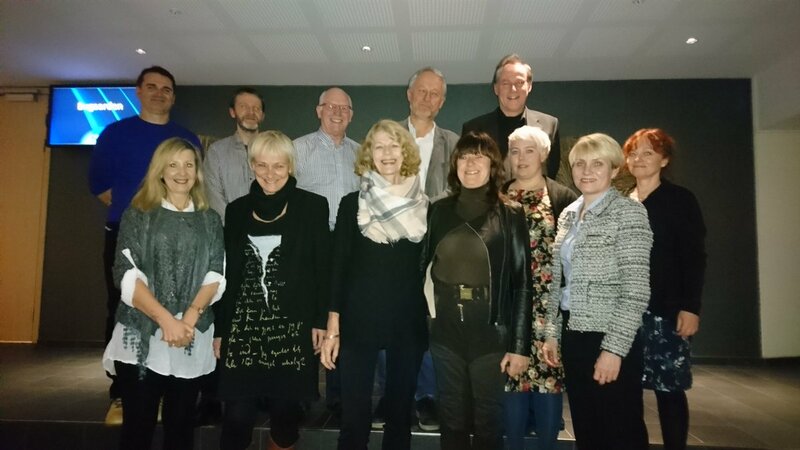 Our panel of international experts gathered in Bergen to a two-day intense meeting with the RespMath research team. The advisory group was informed of the current status of the project, and the detailed plan on how the results will be analyzed and disseminated. Project manager, professor Knut Steinar Engelsen is very satisfied with the discussions. – We got invaluable feedback on how to move the project forward, and the project group were eager to discuss important aspects of the project with experts in research fields related to the project design. The RespMath project is currently in the middle of the intervention period, and 10 schools, approximately 40 teachers and about 1000 students are involved in the intervention. The aim is to aid the teachers in developing assessment for learning (AfL) competencies in mathematics. AfL is about teacher utilizing assessment information in order to inform and develop own teaching, and about engaging the student in a learning dialogue about own learning needs. We choose to call this responsive pedagogy. Read more about the international advisory group. This entry was posted in News on 25. January 2017 by johnivarolsen. Thank you for your cooperation and enthusiasm during our meetings and research activities this year. We are deeply grateful that you have chosen to be a part of the RespMath project, and we look forward to work together in 2017. Thank you for your support and interest in our research! Although we are in the midst of the data collection, we already see some incredible outcomes as we speak. For instance, we are now planning our contribution at the AERA 2017 conference, where we have been invited to present our paper. Grateful to be invited around the world to present the @RespMath project. First @AERA_EdResearch in Texas, then @EARLI2017 in Finland.